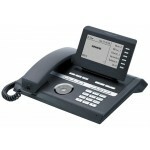 The Unify OpenStage 10 T handset is part of the OpenStage phone family. 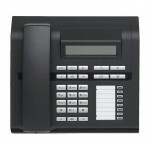 It can be used in a HiPath 500, HiPath 3000 or HiPath 4000 environment as a TDM telephone. The OpenStage 15 T is the latest phone in the OpenStage product range which is designed to meet the requirements of a highly featured low end phone. 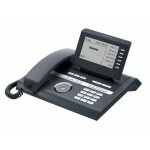 OpenStage product range which is designed to meet the requirements of a highly featured low end phone. Combining high tech and stylish design, the OpenStage family of phones establishes a new benchmark for communication devices. The OpenStage family is intuitive in functionality and interface, integrated throughinteroperability with other devices, and multimodal to allow access to various services and applications.The OpenStage family is designed to be extremely user friendly and simplify feature implementation. Sensorial interfaces based on advanced technology solutions (touch keys, embedded color LEDs, touchSlider for volume control and TouchGuide navigator) as well as large, tiltable, backlit color graphical displays in TFT technology facilitate user interaction. 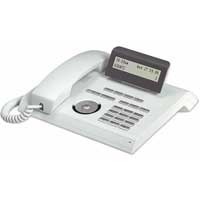 This full-featured speakerphone with it's intuitive and interactive user interface is a universal solution for efficient and professional telephony. 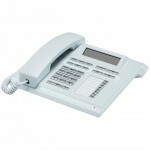 The phone OpenStage 30 T is part of the OpenStage phone family. 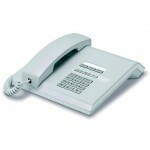 It can be used in a HiPath 500, HiPath 3000 or HiPath 4000 environment as a TDM telephone. Combining high tech and stylish design, the OpenStage family of phones establishes a new benchmark for communication devices.The OpenStage family is intuitive in functionality and interface, integrated throughinteroperability with other devices, and multimodal to allow access to various services and applications.The OpenStage family is designed to be extremely user friendly and simplify feature implementation. Sensorial interfaces based on advanced technology solutions (touch keys, embedded color LEDs, touchSlider for volume control and TouchGuide navigator) as well as large, tiltable, backlit color graphical displays in TFT technology facilitate user interaction.Customizable for various workplace environments OpenStage 40 is recommended for use as an office phone, e.g. for desk sharing, people working in teams or call center staff. Combining high tech and stylish design, the OpenStage family of phones establishes a new benchmark for communication devices. 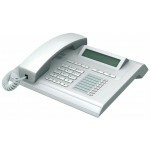 Customizable for various workplace environments the OpenStage 40 HFA (HiPath Feature Access) Handset is recommended for use as an office phone, e.g. for desk sharing, people working in teams or call center staff. Premium features, materials and components turn this device into an extraordinary user experience.The best in class LCD display and an open platform for productivity enhancing applications unlock the full businesspotential of the phone. Open interfaces for easy synchronization with other devices, like PDA and mobile phone are specially designed with the needs of the top level manager and executive in mind.